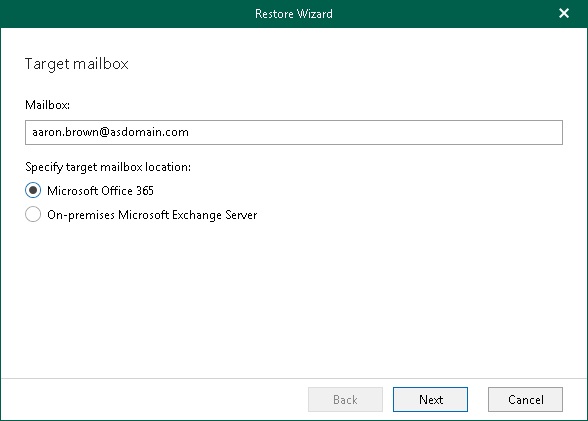 At this step of the wizard, specify the account to connect to the target Exchange server. For On-Premises Exchange, use the domain\username format. For Exchange Online, use the <username>@<organization>.onmicrosoft.com format.